Manganin is an alloy of copper (86%), Manganese (12%) and nickel (2%). 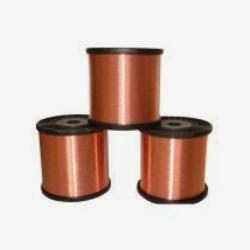 Manganin is widely used in the construction of resistors as it has near zero temperature coefficient of resistance which means that its resistance does not change for an increase in temperature. This is an vital aspect when designing resistors used in measurement and control circuits. Until recently, Manganin was used in designing laboratory standards for the ohm. Manganin was developed by Edward Weston in 1892.